This book was kindly sent to me from Bloomsbury late last year in exchange for an honest review. It was released on the 30th of January 2018 and is approximately 340 pages. TWO REVIEWS IN TWO WEEKS?!!! Damn, I am on a roll and so so proud of myself! 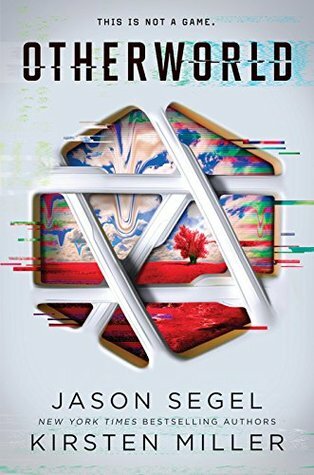 Despite this book taking me a month and a half to read (*insert dates*) I absolutely enjoyed every moment of reading it, and if you are in need of a diverse dystopian-type fantasy novel, this is the book for you. This book, written by A.C. Gaughen is marketed as the first in a new series titled The Elementae. This book has made appearances on my February, March, and April/ May (unofficial) TBR’s, to the point where I’d finally picked it up on the 20th of March, finishing it only a few days ago on the 3rd of May. There is one quote that I really love from this book; and to the protagonist, it is very much a survival mantra; “I am a daughter of the desert, and my feet will never fail me.” I loved how she still has values and morals despite being in the clutched of a selfish crazed ruler. This leads into her love of family and her heritage, and how despite the repression she’s faced while married to a king, she stayed true to the woman she was raised to be. The family values in this novel were tremendous. It was made to seem like an underlying issue under all the torture, fight for rights and survival, but it was really at the forefront of the reasons behind everyone’s actions. Whether it was love, rebellion, and loyalty, everyone did things that they believed was the right thing to do by their family, and half the reason people stuck by one another was due to a blood relation they had or a traumatic upbringing that kept them loyal to one another. The ending just petered out, where a cliffhanger would’ve left me begging for the next book, whereas now I’m quite content and sadly a little disappointed with how it ended. The book was so packed with action, suspense and magical elements, I thought the ending would really leave me screaming and crying for answers; where now I’ve fallen into an everything will be okay mood with this book and I don’t like that!!! I feel that they could’ve made more mention of the dark colour of her skin. It’s not a big issue but the representation in the novel was slightly underrepresented, especially when there is a powerful white male trying to overshadow her. I rated this book ★★★☆☆ (3/5 stars) on Goodreads because of the strength Shalia had despite being in a situation where she was being repressed and ignored because her husband believed he was a God and she was only there to bear children and show off like a trophy. The ending as mentioned above decreased the rating from 4/5 to 3/5, but that doesn’t mean that I didn’t enjoy the book. I had a wonderful time reading this book and I took away the value of humanity, family, and that as a woman I should stand up for what is right even if a crazy white male is being overbearing and suppressive. I’d recommend you read this book especially if you love books about women who aren’t afraid to shy away from a fight and will fight for peace and equality regardless of the benefit to themselves.